If you’re getting ready to make a joke like: “In Ukrainian, armored car drive you...” Yeah, that’s exactly what’s happening. 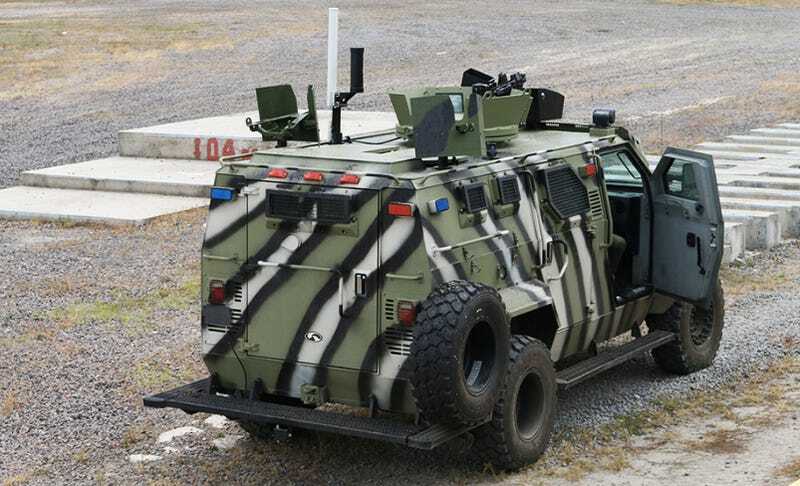 Meet the KrAZ Spartan. The concept is simple: take a Ford F-550, remove everything but the dashboard, chassis, rearview mirrors and Power Stroke diesel engine. Add armor. More armor. Just a few more pieces of armor. Now seats, lights, and whatever extra armor you had laying around. This truck has actually been around for some time. But as of this year’s Arms And Security Exhibition in Kiev it can drive itself into battle, pick up your groceries or wounded soldiers, and come back without putting a human driver at risk of dying or making a mistake. At least that’s what I think the press release says. Full disclosure– my Ukrainian is not that great. But with the help of Google Translate we can discern with reasonable confidence that this truck is equipped with an autopilot system run by thermal cameras, regular cameras, various radars, range sensors, and a “human presence” sensor that sounds as ominous as it does interesting. 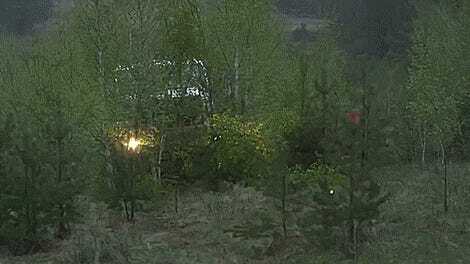 In the video above, we also get a glimpse of what appears to be a person driving the Spartan with a tablet. I think this is a supplementary control system to the vehicle’s autonomous capability. There’s still a regular steering wheel in the cab too, suggesting the truck can also be driven “in person” like any other car. The benefits of a self-driving military vehicle are obvious; put one less person in danger, and the robotic brain is impervious to fear or fatigue. You’ve heard hypotheticals like that before before. And of course the U.S. military is experimenting with autonomous trucks as well for the same reasons. 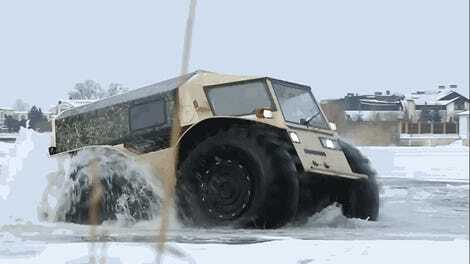 Now we know somebody at KrAZ has a sense of humor, because the company has named two of its other Earth-stomping war machines “Shrek” and “Fiona.” Maybe that means they’re wacky enough to take these big rigs racing like their Russian rivals at KAMAZ! Forget Tuff Truck, I think I need to see this event myself next year. As for the self-driving Spartan, its actual viability in the marketplace and battlefield remain to be seen. Think Tesla will try putting bulletproof plates on its vehicles any time soon?